The levels of competitiveness that businesses and educational centres face is increasingly demanding. This is especially true when defining their positioning with an innovative profile that helps to make the difference. Therefore, neither business training nor learning in educational centres allows results that do not fulfil expectations. This is why heads of Human Resources and study directors increasingly turn to e-learning training, specifically educational platform capable of providing dynamic, enjoyable and motivating learning which is adapted to the characteristics and projects of each organisation and their respective students. In this sense, much of the potential of educational platforms resides in the structure and quality of the content oriented towards multimedia courses. This is why it is essential to have a content supplier that guarantees fundamental aspects such as the SCORM format for successful learning. SCORM is an acronym of� “Sharable Content Object Reference Model”, referring to a series of standards and specifications that allow to structure� content, reports, studies and diverse documentation for teaching purposes. Ultimately, it is the essence of the conditions for generating different and effective learning. In fact, a great deal of e-learning content comes from the possibilities offered by the SCORM standard. It allows the display and management of content created from other platforms, regardless of the tools used for its creation. In turn, it allows the creation of content regardless of the platform on which they will are incorporated. Ultimately, it offers maximum compatibility between platforms. Optimisation of content. The possibility of using already created content, and editing it, reducing production times and increasing the quality of the material. Great functionality. Thanks to the intuitive operation of the SCORM format, an educational platform may record the activity between the user and content. That is, the tutor may identify which students participate, how frequently, what their results have been, etc. Ultimately, SCORMoffers the best solution for maintaining personalised monitoring of a class or group of students. Maximum accessibility. It allows users to access suitable content, at the chosen time, from anywhere. This circumstance facilitates the progress at the pace of each student. Permanent updating. The SCORM format has the necessary resources for supporting new technologies, and for the development of content and platforms. Among other purposes, its specifications help to maintain technological monitoring of content. The SCORM content facilitate the creation of new content quickly and easily. Therefore, there is more varied material available. Furthermore, the platform can increase its functionalities, courses published and users, regardless of the structure of the courses. That is, scalability in all senses. This is an especially attractive quality for those seeking a 100% return on investment in the short/medium term. Reduction of costs. The SCORM format content allows an economic distribution of teaching, facilitating accessibility from any device. Furthermore, it saves on journey costs and mobility, saves time for teachers, providing optimisation of effort, and reduces learning time. In other words, progressive, complete learning, without gaps. This generates assurance in the student and strengthens his newly acquired knowledge. To achieve this, the best method is to present perfectly structured content that allows what is learned to be put into permanent practice. The great diversity of formats shows the range of possibilities offered by the SCORM standard. In this way, the courses of an advanced educational platform can have a multimedia profile. That is, the wide variety of resources are oriented towards generating interactivity, encouraging participation, and offering a pleasant, dynamic and motivating learning experience. A collaborative training model is offered, which enriches the sociability of the group, where the communication tools allow different viewpoints on the planned subjects to be shared. Ultimately, SCORM is the axis of “learning by doing”, the maxim that states that guaranteeing successful learning resides in practice. Why impose limits? Multimedia courses incorporated and/or created on an educational platform may be unlimited, in the same way as the students registered, and the number of courses per student. 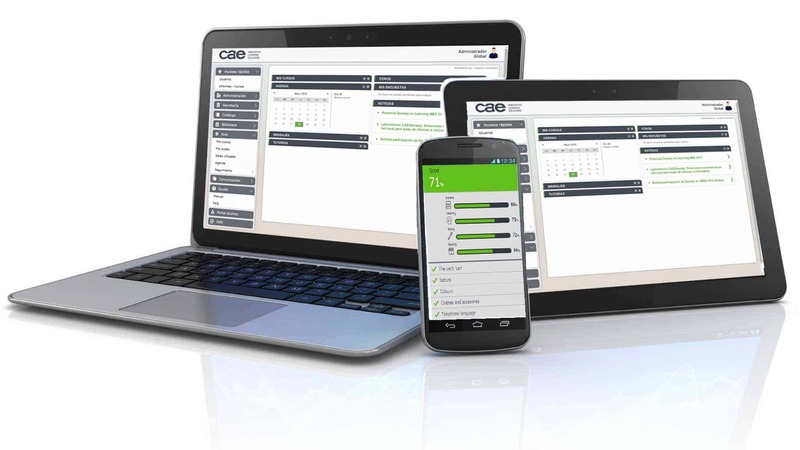 It is as simple as turning to a user licence system, either for each student or each device. However, the flexibility of an educational platform and its content under the SCORM standard go far beyond “administrative” configuration: it allows the generation of customised multimedia courses, adapting to both the characteristics of the company or educational centre, and the level and objectives of the student. There is also flexibility in the tools that allow the student to set their pace for learning, and in the resources offered to each entity, adapting the multimedia courses to their corporate image and generating a positive perception as an innovative organisation, interested in the latest trends in training. Ultimately, the results of a training project, whether for business or education, largely depend on the wealth of the content and their ability to generate the greatest enthusiasm in the student. In this sense, having a provider of multimedia courses and content� with extensive experience and a renowned commitment to innovation greatly increases the chances of success. Therefore, if you are interested in a training project, the answer is CAE (Computer Aided E-learning),� the leader in e-learning.